Wahoo! Another finished dress! I’m always happy when I finish a project, but I’m even happier when it’s something I will love wearing. The Lilou dress presented me with new challenges and old ones. The bodice of the dress called for a lining. I think this is what kept me from sewing the dress for so long. It put the fear right in me. I’m so glad I overcame it! While making the dress I was able to see new improvements in my sewing. Not only did this project give me a pretty dress to wear (though it did turn out a bit big), it also gave me confidence and the ability to see the fruits of my hard work. So this lining I spoke of, isn’t she pretty? I’m not necessarily critiquing my sewing skills, it just looks really nice on the inside of the dress. It instantly gives the dress a more professional look, don’t you think? I wish the lining went throughout the whole dress, but I also know for this gal that probably would have been too much too soon. For the skirt I used the Clemence pattern attached to the bodice. I love the twirliness of it so much! Though I wanted to hurt that skirt a few times during the sewing process. It just did not want to gather for me. The thread insisted on coming out whenever I tried to gather it.. time after time after time. I finally pinned it to fit within the bodice and sewed away. It turned out pretty well even though I had to break some rules. My big YAY! moment with this project was finishing the seams. I had yet to properly finish any seams on any of my projects. I had attempted many times, but alas none of them looked right. As I slowly ran the seams through my machine and saw how they were turning out, I wanted to cry. Was this really happening? It was such a happy moment. I’m not sure how they look to a professional. For me they look like little beauties. After going to Birmingham Fashion week and now making this dress, I’ve got the design itch real bad. I made three different mood boards in just one day this week. Ah! If only I could start designing, but there’s still much to learn. For now I’ll continue enjoying my new found passion and being thankful for all the people who inspire and encourage me! I love this dress!! Lining – you did it! Something I never did! Enjoy your new dress! 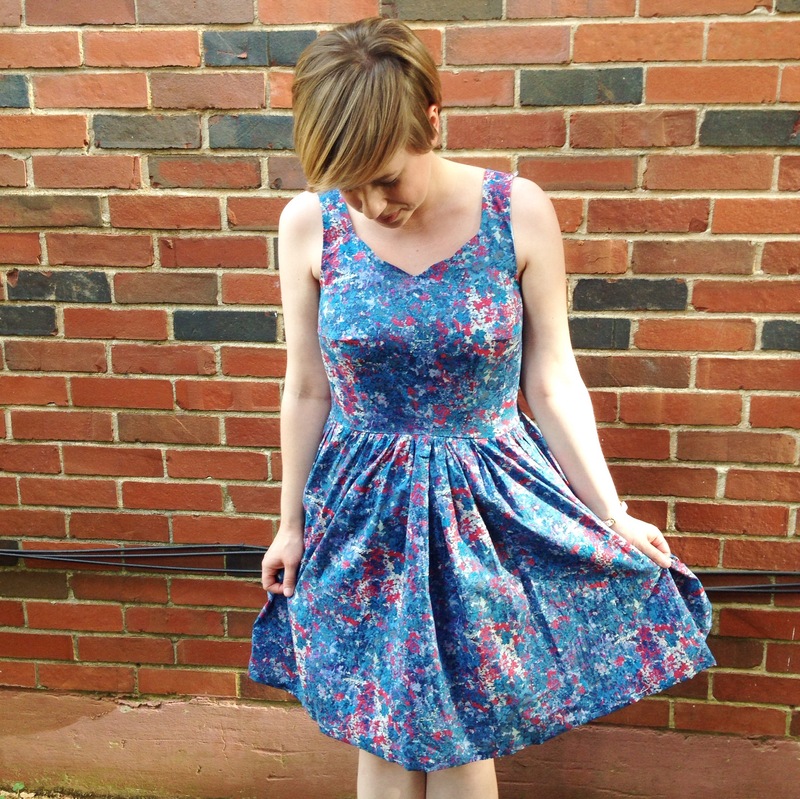 I love reading your blog and seeing the adorable clothes you make! I’m not a sewer myself but know how difficult it is and you’re doing so well! Its also awesome to see how the Lord is helping you to overcome fear and has given you this passion for sewing. I’m looking forward to seeing what He has is store for you! Thank you! This is such a sweet comment. I’m so thankful you have enjoyed reading my blog. Please stop by again soon! Thank you! I’ve only consistently been sewing since January but I’ve been slowly learning for almost 2 years. Your comment is so encouraging! Also, I love reading your blog and seeing all the fun things you’re making! Beautiful dress – I want one! Your seams look cute! No I haven’t made one! I don’t know why not! It’s probably my favourite pattern (by the look of it) from the book and I haven’t got round to it!! Well maybe one day you will! Overall it’s pretty fun to make :). love your pictures! They make me smile!